Lucy Brazier is CEO of Marcham Publishing, specialist publishers of Executive Secretary – a global training magazine dedicated to the professional development needs of senior and aspiring administrative professionals. As editor of the magazines, Lucy works with some of the best trainers of Executive Assistants in the world to deliver the most up to date and current training in the market. She campaigns tirelessly for the recognition of the PA role as a profession, speaking regularly to everyone from Blue Chip Executive Assistants on why it is important to become a centre of excellence within your company, to college students on choosing the role of PA as a career choice. Lucy has a unique overview of the role and where it is heading. With access to the most forward thinking, passionate and knowledgeable trainers in the world as well as personally meeting and speaking to literally thousands of PAs over the last three years, Lucy’s knowledge of the market and what Assistants all over the world are facing on a day to day basis are second to none. Lucy runs a LinkedIn group for assistants which currently has over 32,000 international members who share information, network and learn. She also launched adminchat in January 2012 – a weekly free training session presented on Twitter and hosted by a different world class trainer every week. Now boasting an average of over 2000 attendees a week, adminchat is a manifestation of Lucy’s commitment to providing the very best training to assistants all over the world. A sought after trainer in her own right, Lucy regularly speaks at and chairs conferences & webinars all over the world. This year alone, as Global Brand Ambassador for the International Year of the Secretary and Assistant, she will have spoken in 25 countries at over 170 events during 2014. She collaborates with trainers including Sue France, Julie Perrine, Melba Duncan, Dewoun Hayes, Eth Lloyd, Dr. Monica Seeley, Marsha Egan, Vickie Sokol Evans, Heather Baker and Bonnie Low Kramen as well as organisations including Pitman, OfficeTeam & Hays. 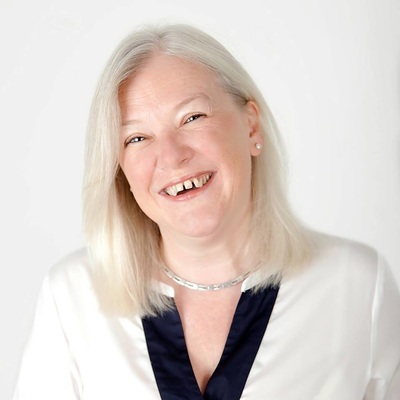 ​Lucy has been a Publisher and Events Organiser for over 27 years. Lucy has previously worked as a Publishing Director for Wilmington PLC, and has managed a team based in Singapore, New York, Germany & London responsible for 13 magazines, 12 international conferences, awards, trade show attendance and marketing for EMAP. Other companies worked for include The Times, The Independent, Centaur Communications and Glass's Guide.